The Markline 1100 Flybridge Cruiser is a big and very comfortable cruiser which is equally happy at sea or in enclosed waters. These very popular NZ built craft have a proven record of being a stunning all purpose boat. With a stateroom forward, ergonomic U shaped Galley, large dinette which converts to a very comfortable double bed, ample space and storage in the cabin and a fully enclosed rear deck. The vessel was fully anti fouled earlier in the year. Sleeps 6 comfortably and has slept 10 at Rotto before. The owner has cared for the boat for the last decade and has left the vessel in immaculate condition. With 800 litres of fuel and 400 litres of fresh water this boat handles beyond its length. The owners have had an amazing lifestyle with "Hindsight" and have moved onto a larger boat. 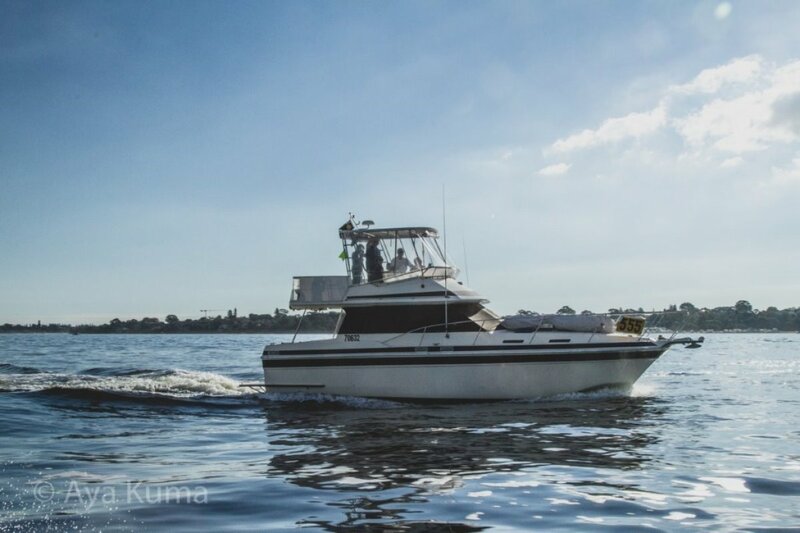 With more storage than you will know what to do with, this is a must see boat. The boat has shaft drive NOT leg. Has current insurance survey available. Kept in a private and secured pen at Perth Flying Squadron please call Tim Swan 0412 563 319 to make an appointment.